I just love on-a-whim book buys from supermarkets. You know what else I love? Greek mythology, historical thrillers, Italian sculptors and alternate realities. In short, I love this book. Amazon – ‘David Franco, a talented young scholar, is introduced to Kathryn Van Owen, a beautiful and wealthy widow with a mysterious past. 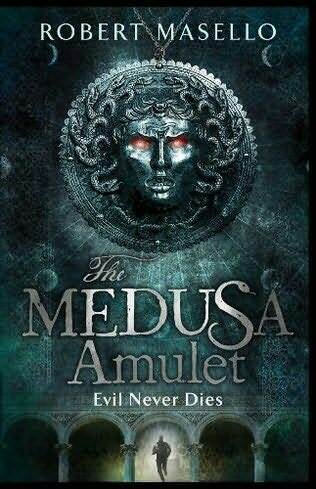 Van Owen owns a sketch of an amulet; a silver medallion with a carving of the Medusa’s face on one side, and on the other a mirror reputed to confer the power of immortality upon any who look into it on a moonlit night – and she is prepared to pay David a million dollars to find it for her. If the rumours of the amulet’s powers are true, David could not only pay off his dying sister’s medical bills – he could offer her a chance of survival. But David will need help if he is to find the clues scattered through art and history to the mirror’s current location. I keep posting Amazon summaries when I know they’re written by monkeys that have never read the damn thing in their lives. So. The story centres around two men – one is David Franco who wants to save his dying sister using a magical amulet that will grant her eternal life. The other is Benvenuto Cellini – the Italian sculptor with a penchant for the occult from the 1500s. A long time ago, Cellini made this amulet, looked into it (and was therefore immortalised) and then promptly lost it. As you do. The story alternates between these two characters, as Cellini loses the amulet in the past and David attempts to find it in the present. I particularly liked the way certain historical events (the French Revolution, Nazi Germany…) are rewritten to include Cellini and his girlfriend. The two of them pop up in history every so often, before they change their names and identities to reappear near another historical figure.. Cellini was Marie Antoinette’s jewelerry adviser, for example. The French Revolutionary scenes are particularly moving as he grows attached to the young Austrian Princess while searching for his lost amulet. While most books of this ilk include lots of explosions, train-jumping and machine guns while simultaneously jumping to hasty conclusions which are always miraculously right, this book is the exact opposite. There’s not really enough action, and that’s something I never thought I’d say. Think of the middle section of Harry Potter and the Deathly Hallows where they’re not doing much but sat in a tent talking about jewellery. Right, now replace ‘tent’ with ‘library’ and you’ve pretty much got this book! It’s definitely very academic – if you’re not willing to give it your full attention, just don’t bother. You won’t see it through. The changing names of the immortal characters plus the different groups of, uhh… baddies (what? ‘baddies’ is perfectly acceptable when its 2am and you’re tired…), just wooshed right over my head when I tried to read it sleepily in bed. Its also written in a very formal tone and includes a lot of historical and art-y facts. I love that though – coming away entertained and informed. What really, really amazed me – the story frequently mentions Benvenuto Cellini’s autobiography where he talks about creating the amulet during a demon-summoning session in the Colesseum. Vaguely interesting, but its a work of fiction after all. 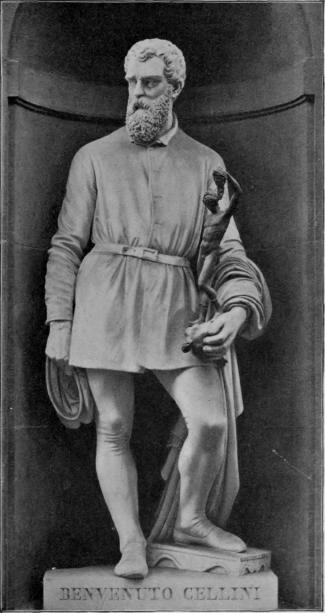 Then out of interest, later I looked up Cellini because I was curious about his sculptures… not only did he actually write an autobiography, he genuinely talks about practising dark magic in the Colesseum! Well, I now have the autobiography of a 16th century sculptor on my wishlist… right next to Bossypants by Tina Fey. Never say I don’t have wide-ranging interests. Last off, this book is brutal. It’d be at least a 15 rated film. But hey, I love me some brutal violence in the name of culture. It did make me raise an eyebrow a few times though, and like to think I’m fairly bookishly shock-proof. A topic for another time: why don’t books have age ratings? to my mind. It’s worth reading just for that – it has to be one of the best endings I’ve ever read. I was lying in bed last night thinking about it. Do read this book. It’s very cheap in a number of places, and you’ll be hard pressed to find another book that combines this amount of creepiness and intelligence. Buy me here. Well, not me. I can’t be found on Amazon. But the book. Buy that.